After Antarctica, Greenland's ice cap contains the second largest mass of frozen fresh water in the world. Based on new research using NASA's airborne laser altimeter, scientists have identified pronounced thinning of Greenland's ice cap. This new research indicates enough ice loss to cause a measurable rise in sea levels. 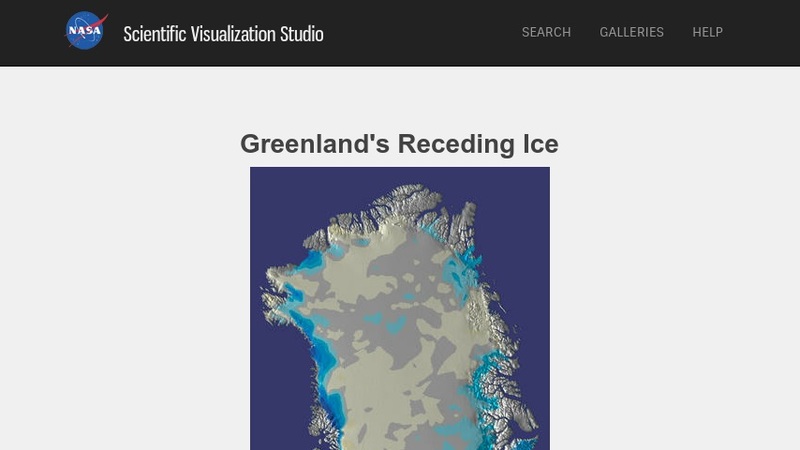 This site, produced by NASA's Scientific Visualization Studio, features text, photographs, satellite imagery, and animations to describe the loss of ice and the use of lidar (laser altimetry) to make the precise measurements necessary to reveal the loss of ice.